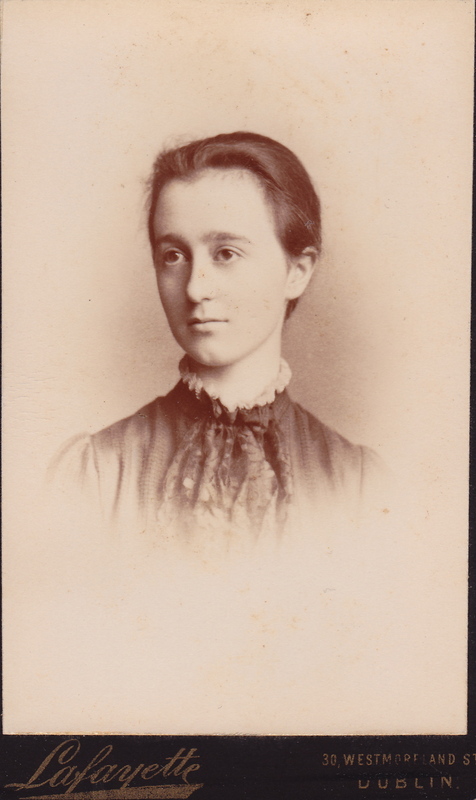 This post is about Lizzie Bouskill, someone I didn’t even know existed until last year when I was in Dublin doing some research on the Smith family. Elizabeth Bouskill (known as Lizzie) was born in Barnane, County Tipperary, on 3 June 1868. Her parents were Mary Smith and Thomas Bouskill. They had no other children. Mary Smith was one of the sisters of Lancelot Smith of Corballis. This formal photograph of Lizzie was taken in Kendal in the Lake District, presumably while she was visiting Smith relatives in Cumberland. I believe the photograph was taken when Lizzie was about 10 years old. Thomas Bouskill was a farmer in Barnane and had been a land agent there previously. He was originally from Arnside, Westmoreland and was born around 1825. Mary Smith was born in Gamblesby in 1826 and probably migrated to County Tipperary in the early 1850s with her parents and most of her brothers and sisters. I assume Mary first met Thomas Bouskill while she was living in Tipperary. When Mary married Thomas in July 1866 she was living at Blackhall with her brother Thomas Smith, probably working as his housekeeper. These are the only pictures I have of Mary and Thomas Bouskill. 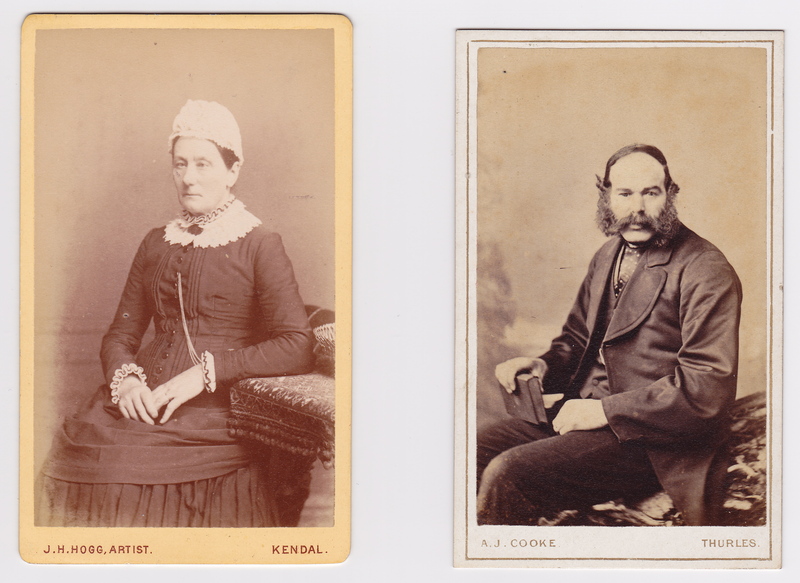 Mary’s photograph was taken in Kendal, as was her daughter’s photograph above. Thomas’s photograph was taken in Thurles, County Tipperary. 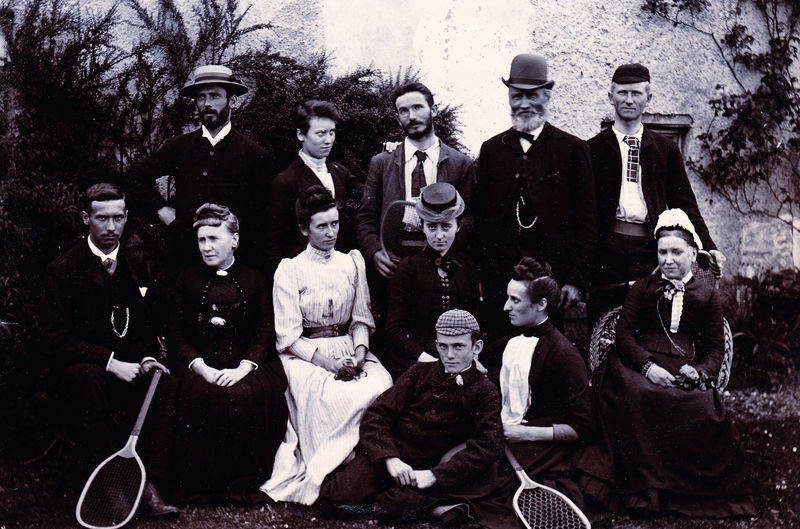 I do not know why this photograph was taken; possibly it was taken at the time of his marriage to Mary in 1866. The Bouskills continued to live in Barnane for the rest of their lives and both died in their late 50s: Thomas died in June 1884 and Mary in January 1885. Their early deaths left Lizzie alone at the age of only 16. When I discovered that Lizzie was so young when her parents died, I began to worry about what had happened to her. I pictured her living a life of wretched poverty in a rural cottage, without friends or family to support her, or having to emigrate to America to start a new life. Now I realize the reality was somewhat different – although sad in another way. This is a formal photograph of Lizzie as a young woman. 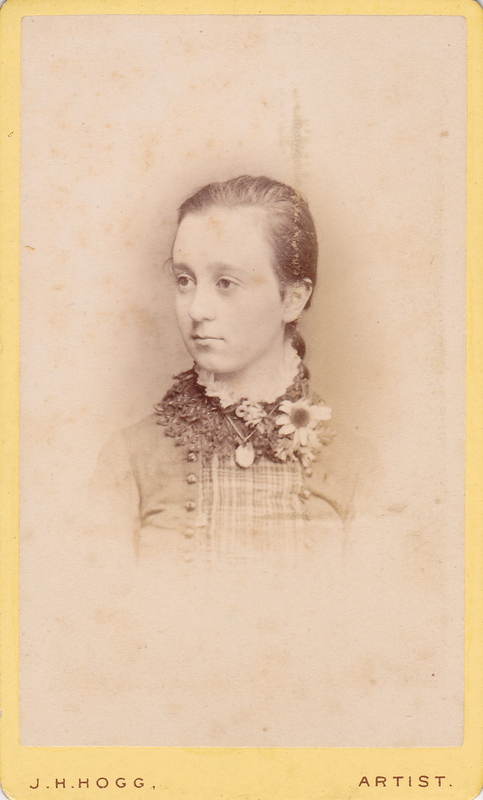 The picture was taken in Dublin and could have been taken in 1885, around the time of her mother’s death. Thomas Bouskill did leave a will and probate was granted to Lancelot Smith, farmer and William Smith, esquire; I assume these men were his wife Mary’s brothers. Thomas was a farmer so would have had some property to bequeath. From being responsible for Thomas’s estate, I assume Lancelot and William took responsibility for the well-being of their sister Mary (who only lived another few months) and then for her daughter Lizzie. In 1885, Lizzie’s uncle William Smith was living in London working for HM Customs and was a widower (his wife had died in 1878). According to William’s grand-daughter, Lizzie went to London to live with her uncle and to keep house for him. This would have been a sensible idea because it would enable them both to have a home. After his wife died, William had been living in lodgings, which probably wasn’t very comfortable, and Lizzie could not live on her own in Barnane. Having Lizzie living in London with her uncle would also give her cousin Hubert a home when he was not at boarding school. Hubert was less than a year younger than Lizzie. This domestic arrangement continued for only a few years because, on 9 September 1891, Lizzie died at the age of 23. I don’t yet know the cause of death. Lizzie left an estate of almost £6,000, which surprised me. I assume that she inherited most of this money from her father’s estate. Letters of administration were granted to Lancelot Smith, farmer. Without seeing the will, it is impossible to know which Lancelot Smith but I am guessing it was her uncle Lancelot of Corballis, not her cousin Lancelot of Beaverstown. So Lizzie was not an impoverished orphan, as I had thought, but a young woman of means who lived a sadly short life. The above picture appears elsewhere in this blog (see the “Lancelot Smith’s Children Corballis” page in the “Family Stories” section) but it is useful here to show Lizzie with her Smith cousins of Corballis. Lizzie is in the middle of the photograph wearing a hat. I think this informal picture was taken by Hubert Smith, Lizzie’s cousin from London, and also the cousin of the Smiths in Corballis. The photograph was found in an album belonging to Hubert’s daughter. I notice that, while Lizzie is wearing a hat, the Smith women of the Corballis household are not wearing hats so I am guessing that Lizzie was visiting Corballis for the day with her cousin Hubert. Since Lizzie died in September 1891, I know this picture was taken before that, possibly as late as the summer of 1891. This entry was posted in Bouskill, Photographs, Smith, Tipperary and tagged Bouskill, Mary Smith, Tipperary, William Smith. Bookmark the permalink.